Installing the CCTV system isn’t just about choosing the right cameras for your needs. You also need to take under consideration weatherproofing them, their limits when it comes to humidity or temperature. This number is going to tell about how much protection from the elements your CCTV system presents. This rating means your system is “dust tight” and it’s protected from water when projected from a nozzle. Your camera is going to be protected if water is projected by a nozzle against the enclosure, no matter the direction. In this case, the camera is protected even if there is a strong jet of water projecting against it. Water projected in strong jets against the enclosure has no harmful effects, no matter the direction of projection. This means your camera is protected against continuous and complete submersion in water. You may fully immerse the equipment in water, but you need to take the manufacturer’s specifications as well. When your PTZ comes with desiccant packets attached to the circuit board inside, it’s better not to remove it as it protects the camera enclosure from humidity. When you’re mounting the camera outside, use the right mounting box for better protection against the elements. 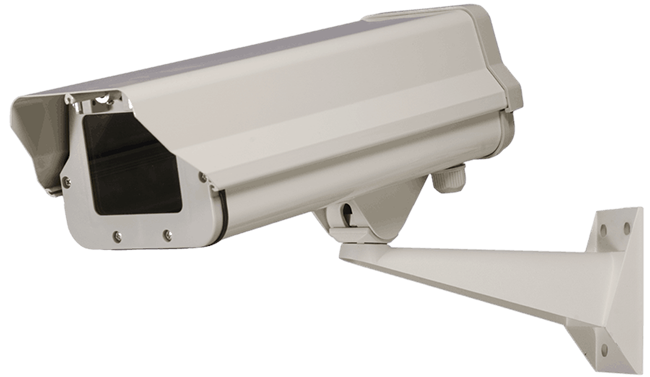 Even if many CCTV cameras are made so that they take the most challenging weather conditions, poor installation and unfortunate camera placement is going to ruin the performance of the whole CCTV system. Make sure you know about where to install the cameras and how to install them so that you get the best out of your CCTV system for a long time. Check this site out for a comparison between ip vs analog cameras. Cabling is another part that some tend to skip. However, you shouldn’t undermine its importance and always use the right cable during the camera installation. Get a direct bury cable if you’re going to run the cables underground. You can also use standard cat5e cable or conduit for the same project. Corrosion of the RJ45 connection leads to connectivity problems for your cameras and they may not even power up due to this kind of problem. Corroded connectors are a sensitive matter since even the smallest cable movement may lead to a disconnection between the pins, dropping the whole connection in the end. You need to weatherproof the Ethernet (RJ45) connector in order to make sure that your CCTV system works properly all the time. When you’re compromising on the weatherproofing, it’s only a matter of time until the corrosion of your RJ 45 is going to happen. Wrong installation or lack of weatherproofing aren’t covered under warranty when causing corrosion. When you’re identifying corrosion symptoms, some cotton swab and Isopropyl alcohol (stronger than 90%) is going to be more than enough to clean the connector, solving the connection problem between the pins. In case the corrosion is a bit more serious than anticipated, you should get a contact cleaning solution especially made for the low voltage electrical connectors. If the corrosion is extreme, the only solution for saving your camera is to simply replace the female RJ45 connector that comes from your camera.